Last year, I started going to EnVogue Salon on the recommendation of my daughter who has been one of Bharti’s first clients since joining the salon years ago. I feel blessed that my daughter brought me to EnVogue. My hair is now healthier and fuller due to the care and attention that Bharti gives me each and every weekend. I am 85 years old and although I live in Wayne, it is well worth the 20-30 minute ride for my husband to take me on Saturdays. Bharti is just lovely and I not only receive the BEST shampooing, coloring, hair cut & style, but my hair looks fabulous and lasts the entire week till my next appointment. I highly recommend EnVogue Salon for all your hair cut, style, highlighting, coloring needs as the products Bharti and her staff use are of excellent quality. 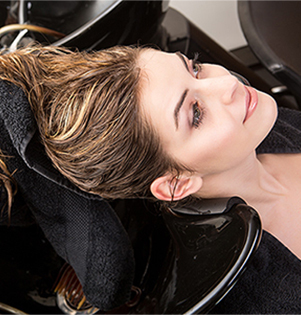 You will receive the salon’s highest standard of excellence each and every time. EnVogue is where I look forward to going every Saturday for a bit of conversation with a group of very fine people/stylists. Make an appointment and you will see how wonderful your experience will be! EnVogue Salon is great! I have been going here for years and my hair color and cut look fantastic every time. 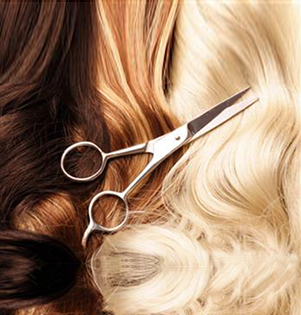 Bharti and her team have the expertise to provide you with whatever look you want to achieve. They use high quality products and provide excellent customer service in a relaxed, friendly environment. I’ve been coming here for years now and won’t go anywhere else . The service and staff are excellent. It is a friendly relaxing atmosphere . Bharti has the most amazing personality! I was visiting from out of town and needed hair service. She did an amazing job. Cannot say enough about her talent and professionalism. Would definitely be a regular if I were a local! EnVogue Salon opens their doors in July 1994, and right from the start we have believe in provide the best service by associating ourselves with,excellent creative talented hairstylist! Our creative teams are dedicated to provide you with superior hair services. The EnVogue Hair design team works hard to stay current with evolving trends,seasonal looks, and innovative ideas to personalizing your image to complement your hair type, facial structure and lifestyle. Subscribe here to receive our newsletters and offers.